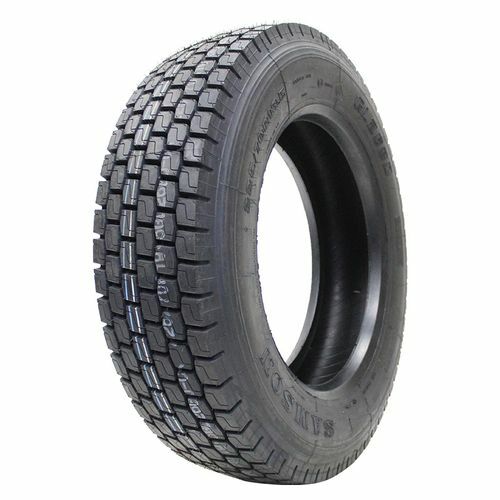 The Samson Advance G268D drive tire is designed for regional applications. This open shoulder tire features a special double tread structure that ensures minimal heat generation and retention for longer tire life. 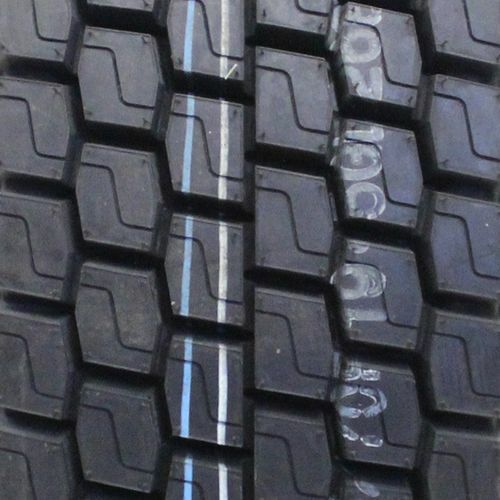 The optimized tread pattern includes multiple grooves that channel water away from the footprint to enhance hydroplaning resistance in wet conditions as well as sipes that provide additional biting edges for better grip. 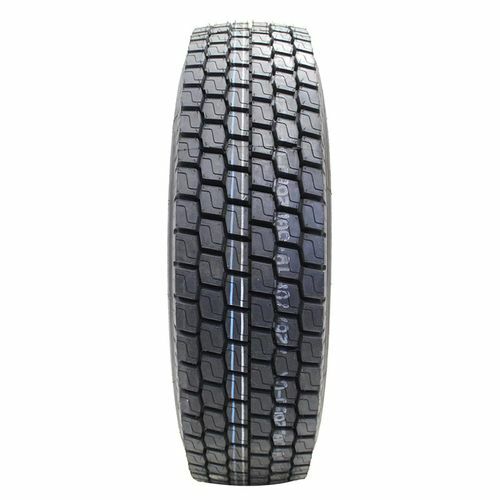 The unidirectional tread design and optimized blocks provide excellent ride stability and traction. 295/75R-22.5 N/A 6,173 lbs 110 psi 26/32nds 0" 12" N/A 41"
Purchase includes the Samson Advance Radial Truck GL268D (Open Shoulder) tire only. The wheel rim shown in the picture is not included. Picture provided is a stock picture from the manufacturer and may or may not reflect the actual product being ordered. 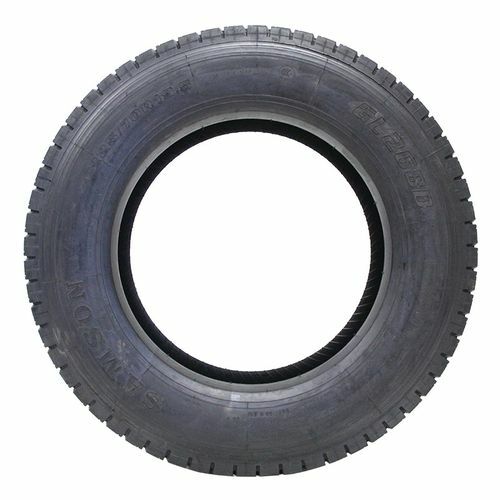 All Samson Advance Radial Truck GL268D (Open Shoulder) tires are continuously developing with manufactured improvements. With that said, Simple Tire and the manufacturers have the right to change these tire specifications at any time without notice or obligation. Please Note: Specifications of the Samson Advance Radial Truck GL268D (Open Shoulder) tires shown above are listed to be as accurate as possible based on the information provided to us by Samson tires. I purchased 4 of these to replace the drive tires on a 16 YO tires on a used motorhome I recently purchased. I recently returned from a trip to Alaska where I put over 7000 miles on them in a variety of conditions, including wet, dry, hot, cold, sleet, snow, mud and gravel. These tires never skipped a beat! I was confident driving under whatever conditions we encountered. I was a bit concerned about road noise but was pleasantly surprised at how quiet these tires are on the road. By submitting a review, each person received a sweepstakes entry.